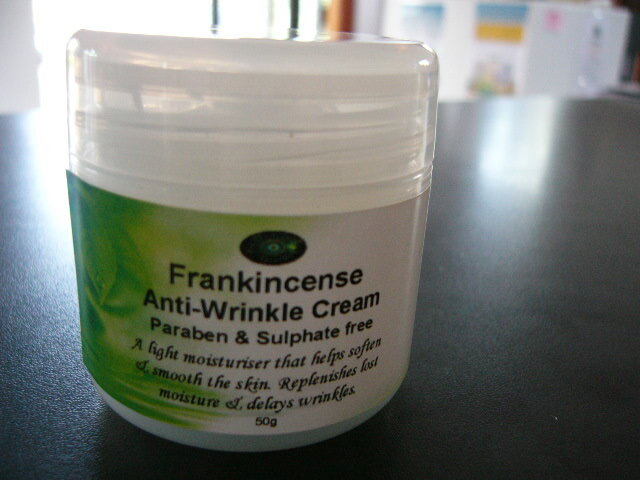 50g Frankincense Anti Wrinkle cream. A light moisturiser that helps to soften & smooth skin, replenishing lost moisture & delaying wrinkles. Improves dry skin and is highly recommended for all skin types for under 40's. (For over 40's see our Liquid Gold Moisturiser listing). Enriched with Argan, Jojoba & Evening primrose oils. Does not contain any nasty parabens or sulphates.